ITP clothing/footwear is an evergreen market, because the pool of newborns is constantly renewed; yet the same market is mature, for the number of live births has been pinned to the 4.0 million newborns mark, annually, for decades now: Thank some companies' innovative marketing and design, which have driven retail value to almost $18.4 billion - a figure that could exceed $23.0 billion, as of 2015. This latest edition of MarketResearch.com's popular Packaged Facts report describes birth, societal, and licensing trends that drive sales in the mega-market for ITP clothing/footwear. Analysis portrays not only the personality of the ITP clothing/footwear business itself, but also the competitive personalities of players Brown Shoe, Carter's, Disney, Hanesbrands, The Jones Group, Sun Capital/Gerber Childrenswear, and others. In addition, ample Experian Simmons demographic data are examined in depth. Infant, Toddler and Preschool Clothing Market in the U.S., 3rd Edition is based on information gathered from primary, secondary, and syndicated sources. Primary research involves on-site study of how these kids' shirts, dresses, coats, and shoes, etc., are sold through retail stores; Packaged Facts also consults with industry executives. Secondary research involves the evaluation and comparison of data from mountains of articles found in financial, marketing, and retail publications, as well as on corresponding types of websites. Company literature, government agencies, and other sources also provide valuable secondary data. Stats on market revenues and growth trends derive from all available data on the ITP clothing/footwear marketplace, be they quantitative or qualitative; that is, a broad range of societal and economic trends are factored in, to help shape the most accurate possible view of sales progress. Packaged Facts also presents and analyzes data from quarterly surveys by Experian Simmons (formerly Simmons Market Research Bureau, Inc.), one of the leading compilers of demographic data in the United States. With Infant, Toddler and Preschool Clothing Market in the U.S., 3rd Edition, you and your marketing team will gain a comprehensive overview of the ins and outs of this highly competitive branch of "the rag trade." Just as importantly, the report anchors ITP clothing/footwear activity in the broader consumer marketplace and societal contexts, as well as in the rapidly transforming retail scene. Such valuable qualitative perspective is supported with extensive hard data presented in well-organized tables and charts. If your company is already an established player in ITP clothing/footwear, this report is bound to freshen and strengthen your marketing plan. If your company is newly targeting parents of small children, then this report is a great intro to the ITP products sphere, and thus it is a launching pad for your successful venture. As the U.S. economy recovers from deep recession, all eyes are on product categories that upscaled prior to the worldwide financial crashes of 2008-2009: Among such categories are young kids' furnishings (cribs, highchairs, safety gates, etc. 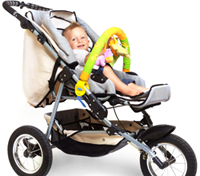 ), accessories (baby monitors, car seats, strollers), and toys. Together, the three categories are a market valued at $17.8 billion at retail in 2010, with $22.1 billion possible in 2015, according to this update of a best-selling Packaged Facts report. Pre-2008, it seemed the parade of high-tech baby stroller brands on Main Street, U.S.A., would go on forever -- then sales of strollers priced at $1,000-plus, and sales of other top-end ITP products, were dampened by the bleak economic outlook. Yet in 2010, consumers are regaining confidence, and Bugaboo, Maclaren, Stokke, and other pricey strollers are out on the sidewalks once more. This positive turn is reinforced by parents' quest for smarter, safer ways to raise kids; by high birth rates among U.S.-resident Hispanics; and by new evolutions of the Yoga Mom (the latest being Yoga Mom 3: Household Savior). Marketers' creation of "mid-luxe" price-tiers has also helped them hedge against lingering after-effects of recession. In Infant, Toddler and Preschool Furnishings, Toys and Accessories in the U.S., Packaged Facts examines such factors in depth, plus we deliver historical sales; a dollar forecast for the year 2015; the results of our own survey of nearly 2,000 consumers; and Experian Simmons demographic data. In addition, we profile the corporate battle styles of Crown Crafts, Dorel, Leapfrog, Maclaren, MGA Entertainment, Newell Rubbermaid/Graco, Phil&teds/Mountain Buggy, and UPPAbaby. Infant, Toddler and Preschool Furnishings, Toys and Accessories in the U.S. is based on information gathered from primary, secondary, and syndicated sources. Primary research involves on-site study of how these car seats, cribs, rubber duckies, strollers, and other products are sold through retail stores; Packaged Facts also consults with industry executives. These efforts complement our own demographic data-gathering: In May-June 2010, we ran a detailed survey of almost 2,000 adults, The Packaged Facts Consumer Survey 2010. Secondary research involves the evaluation and comparison of data from mountains of articles found in financial, marketing, and retail publications, as well as on corresponding types of websites. Company literature, government agencies, and other sources also provide valuable secondary data. Stats on market revenues and growth trends derive from all available data on the ITP furnishings/ accessories/toys marketplace, be they quantitative or qualitative; that is, a broad range of societal and economic trends are factored in, to help shape the most accurate possible view of sales progress. Brand share data on both ITP accessories and play & discovery (infant) toys are provided by SymphonyIRI Group (formerly Information Resources, Inc., or IRI), which taps directly into checkout scanners in the three main mass-market channels, supermarkets, chain drugstores, and mass merchandisers. IRI's proprietary InfoScan Review is widely regarded as the "bible" for syndicated retail brand share. However, Wal-Mart data are excluded from the Review, per these retailers' stipulations. In addition to analyzing consumers' purchase and use of ITP furnishings/ accessories/toys based on our own survey, we also analyze data from quarterly surveys by Experian Simmons (formerly Simmons Market Research Bureau, Inc.), one of the leading compilers of demographic data in the United States. With Infant, Toddler and Preschool Furnishings, Toys and Accessories in the U.S., you and your marketing team will gain a comprehensive overview of the ins and outs of this highly competitive business. Just as importantly, the report anchors ITP furnishings/accessories/toys activity in the broader consumer marketplace and societal contexts, as well as in the rapidly transforming retail scene. Such valuable qualitative perspective is supported with extensive hard data presented in well-organized tables and charts. If your company is already an established player in ITP furnishings/accessories/toys, this report is bound to freshen and strengthen your marketing plan. If your company is newly targeting parents of small children, then this report is a great intro to the ITP products sphere, and thus it is a launching pad for a successful venture. The whole team -- brand managers, research and development pros, ad agencies and media departments, database managers and librarians, venture capitalists, new business specialists -- all are unified by the cutting-edge analysis in Infant, Toddler and Preschool Furnishings, Toys and Accessories in the U.S..
Babycare supplies marketers must come up with new products and strategies on a regular basis -- to raise brands above the commodity herd. The fact that the pool of babies tends to hover near 4.0 million, year in, year out, further pressures competition. 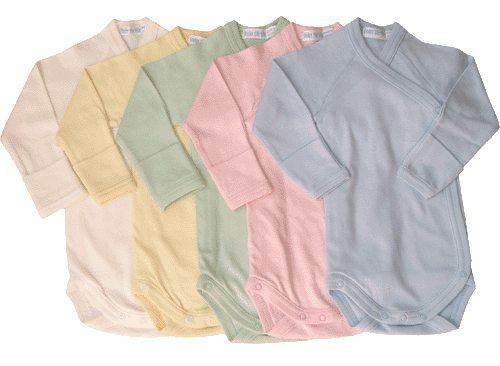 Yet this market is worth the scramble for share: Valued at $7.0 billion at retail, the market's six categories (disposable diapers, wipes, bodycare preparations, feeding accessories, play & discovery toys, and pacifiers/teethers) hold rich potential for players with innovative wares and competitive savvy. This latest edition of a popular Packaged Facts report contains all the information that executives need to form aggressive gameplans for either entering the fray or enhancing their existing positions. Market drivers such as green or natural/organic products, and higher birth rates among ethnic minorities, are examined against the background of the troubled U.S. economy. Sales figures -- both historical and forecasted -- are covered, too, as are IRI brand share data, and Experian Simmons demographic data. Execs can also compare their battle profiles with those of California Baby, Hain-Celestial, Kimberly-Clark, Johnson & Johnson, Procter & Gamble, Seventh Generation, and others; each of these companies' stances is discussed in detail. Throughout the report, Packaged Facts' unique in-depth analysis is featured. 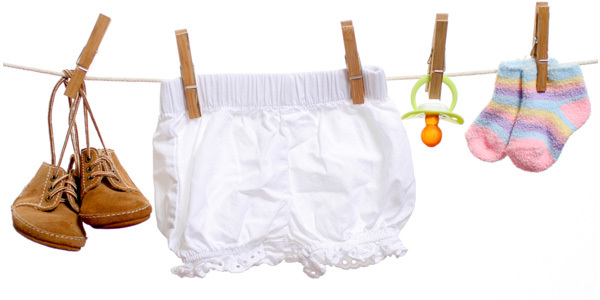 Babycare Supplies in the U.S.: Diapers, Bottles, Wipes and Feeding Accessories is based on information gathered from primary, secondary, and syndicated sources. Primary research involves on-site study of how babycare supplies are sold through retail stores; Packaged Facts also consults with industry executives. Secondary research involves the evaluation and comparison of data from mountains of articles found in financial, marketing, and retail publications, as well as on corresponding types of websites. Company literature, government agencies, and other sources also provide valuable secondary data. Stats on market revenues and growth trends derive from all available data on the babycare supplies marketplace, be they quantitative or qualitative; that is, a broad range of societal and economic trends are factored in, to help shape the most accurate possible view of sales progress. Brand share data are provided by Information Resources, Inc. (IRI), which taps directly into checkout scanners in the three main mass-market channels, which are supermarkets, chain drugstores, and mass merchandisers. IRI's proprietary InfoScan Review is widely regarded as the "bible" for syndicated retail brand share. However, Wal-Mart and warehouse club data are excluded from the Review, per these retailers' stipulations. Analysis of consumers' purchase and use of babycare supplies is based on quarterly surveys by Experian Simmons (formerly Simmons Market Research Bureau, Inc.), one of the leading compilers of demographic data in the United States. With Babycare Supplies in the U.S.: Diapers, Bottles, Wipes and Feeding Accessories, you and your marketing team will gain a comprehensive overview of the ins and outs of the babycare supplies business. Most importantly, the report anchors babycare supplies in the broader HBC and societal contexts, as well as in the rapidly transforming retail scene. Such valuable qualitative perspective is supported with extensive hard data presented in well-organized tables and charts. If your company is already an established player in babycare supplies, this report is bound to freshen and strengthen your marketing plan. If your company is newly targeting the prospective or new baby-household, then this report is a great intro to the babycare supplies business, and thus a launching pad for a successful venture. The whole team -- brand managers, research and development pros, ad agencies and media departments, database managers and librarians, venture capitalists, new business specialists -- all are unified by the cutting-edge analysis in Babycare Supplies in the U.S.: Diapers, Bottles, Wipes and Feeding Accessories.